Now that it’s cold outside, this is the perfect time to think of warmer temperatures and perhaps a vacation. The Trade Literature Collection at the National Museum of American History Library includes a lot of railway-related catalogs but not all of them are about equipment and supplies. Some are directed towards the tourist, like this nineteenth century catalog by Jacksonville, St. Augustine & Indian River Railway. Imagine yourself as a tourist in the Winter Season of 1892-93. This catalog titled Florida Beauties of the East Coast might have helped plan your winter vacation. Jacksonville, St. Augustine & Indian River Railway, Jacksonville, FL. 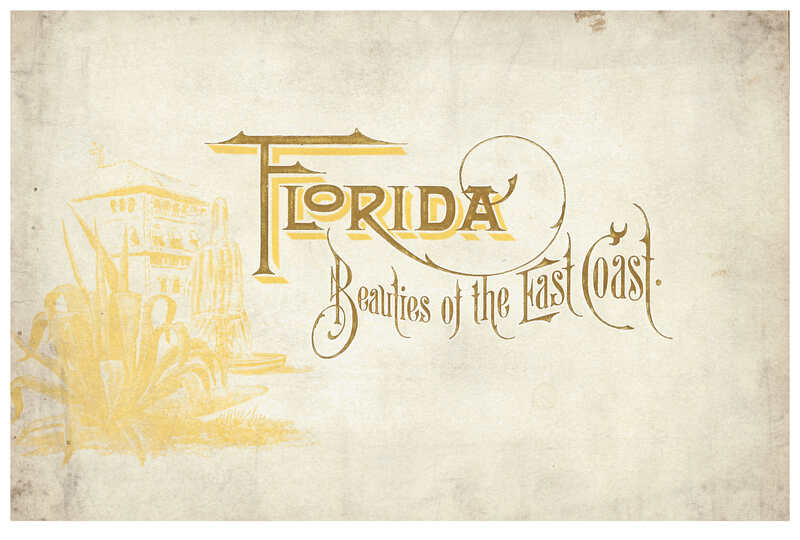 Florida Beauties of the East Coast, 1892, front cover of catalog. 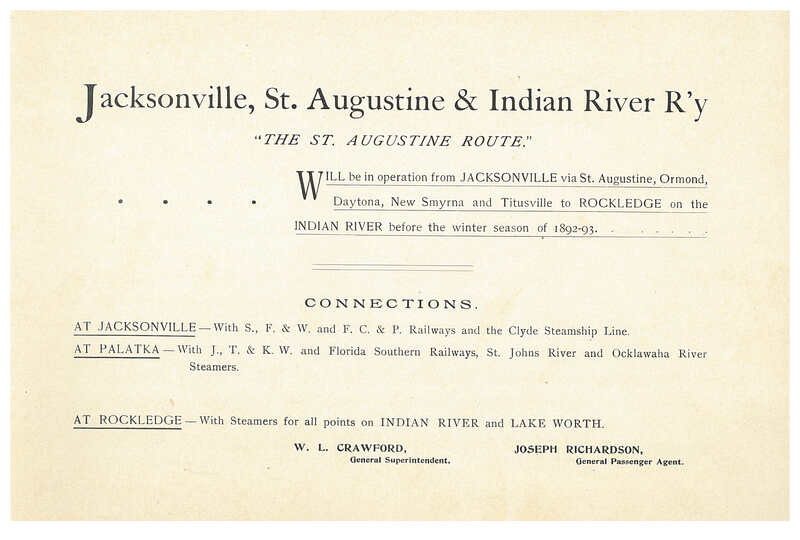 The catalog highlights “The St. Augustine Route” which operated from “JACKSONVILLE via St. Augustine, Ormond, Daytona, New Smyrna and Titusville to ROCKLEDGE on the INDIAN RIVER.” Connections by railway or steamer were available at Jacksonville and Palatka as well as a connection by steamer at Rockledge for all points on the Indian River and Lake Worth. Jacksonville, St. Augustine & Indian River Railway, Jacksonville, FL. Florida Beauties of the East Coast, 1892, title page. Flip through this catalog and you will find page after page of images and descriptions of cities along the route. 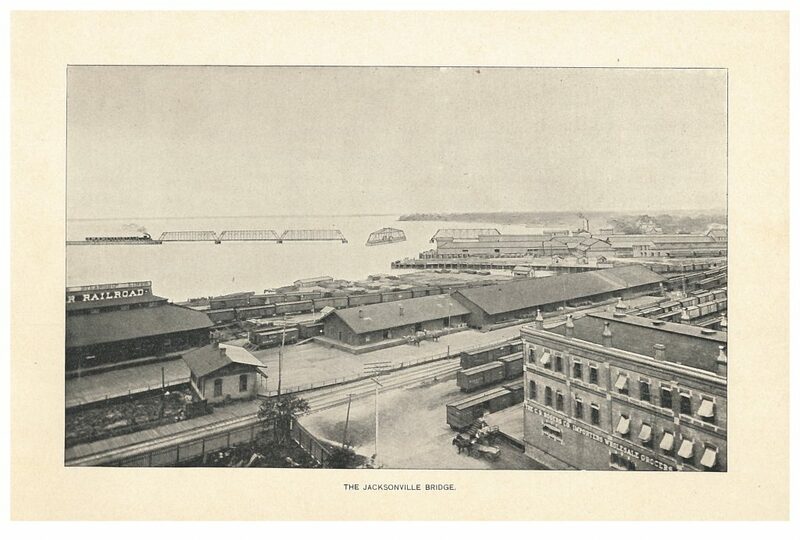 The first city is Jacksonville, situated on the St. Johns River, and described as “the metropolis and railroad centre of the State.” Railway travelers leaving Jacksonville crossed the Jacksonville Bridge, shown below. Jacksonville, St. Augustine & Indian River Railway, Jacksonville, FL. Florida Beauties of the East Coast, 1892, Jacksonville Bridge. The next description is of St. Augustine and its attractions including Hotel Ponce de Leon, Fort Marion (now known as Castillo de San Marcos), and Anastasia Island. The catalog goes on to describe other cities along the route, such as Ormond, Daytona, New Smyrna, and points along the Indian River. Jacksonville, St. Augustine & Indian River Railway, Jacksonville, FL. 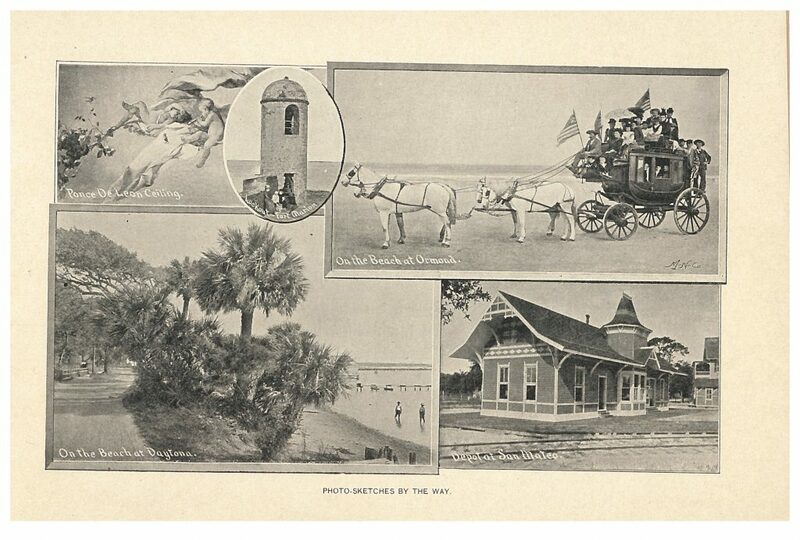 Florida Beauties of the East Coast, 1892, photo-sketches of a Ponce de Leon ceiling, lookout at Fort Marion, horse and carriage on the beach at Ormond, view of beach at Daytona, and Depot at San Mateo. While traveling the St. Augustine Route, what would you have done to pass the time? Besides looking out the window at the beautiful scenery, you might have played a game or had a meal. 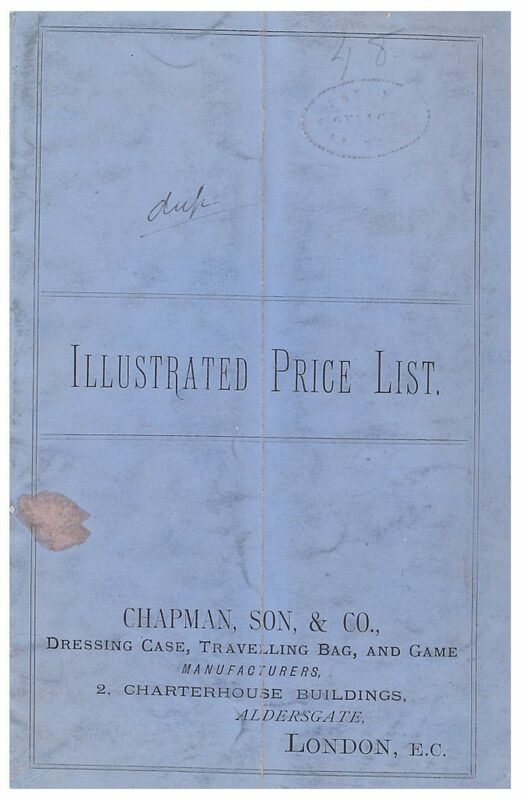 Another gem in our collection, a trade catalog by Chapman, Son, & Co. titled Illustrated Price List, helps us fill in the scene with a peak at late nineteenth century games, some designed for traveling, and even a luncheon basket perfect for railway travel. Chapman, Son, & Co., London, United Kingdom. Illustrated Price List, front cover of catalog. One of these games was a traveling chess board. 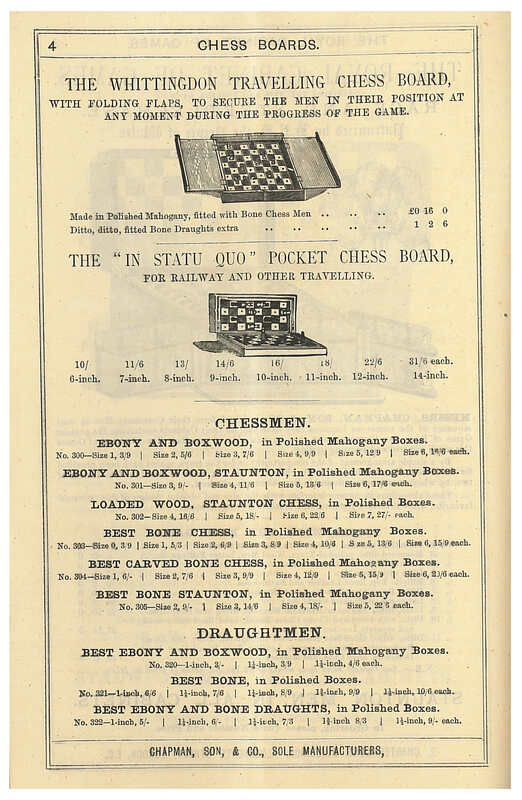 The Whittingdon Travelling Chess Board had “folding flaps, to secure the men in their position at any moment during the progress of the game.” Another chess board advertised for railway traveling was the “In Statu Quo” Pocket Chess Board. Chapman, Son, & Co., London, United Kingdom. 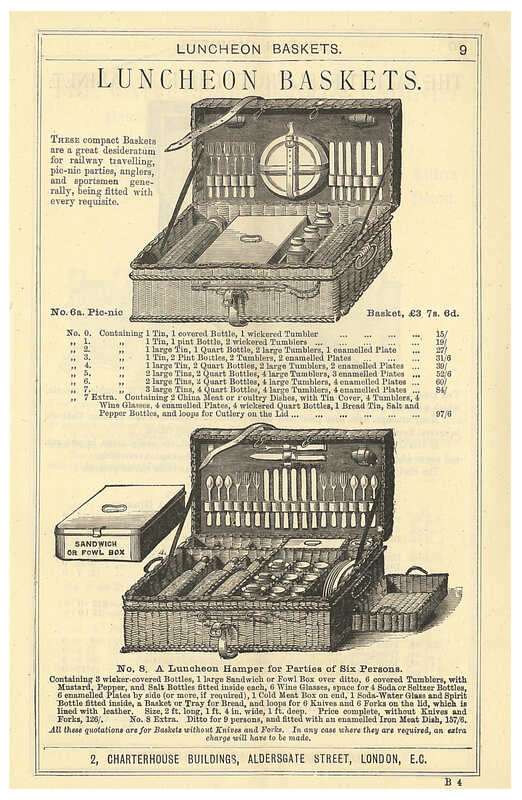 Illustrated Price List, page 4, Whittingdon Travelling Chess Board and “In Statu Quo” Pocket Chess Board. When it was time for a meal on the train, these Luncheon Baskets had everything you needed. They were even advertised as “a great desideratum for railway traveling.” The baskets included bottles, tumblers, plates, meat or poultry dishes, a tin, cutlery, and salt and pepper bottles. Luncheon Basket No. 8 even included a sandwich or fowl box, a bread tray, and wine glasses. Chapman, Son, & Co., London, United Kingdom. Illustrated Price List, page 9, Luncheon Baskets. These trade catalogs by Jacksonville, St. Augustine & Indian River Railway and Chapman, Son, & Co. are located in the Trade Literature Collection at the National Museum of American History Library.